BestChoiceproducts Old School Sand Digging Scopper Sandbox Just $37.95! Down From $79.95! You are here: Home / Great Deals / BestChoiceproducts Old School Sand Digging Scopper Sandbox Just $37.95! Down From $79.95! Sears has this BestChoiceproducts Old School Sand Digging Scopper Sandbox on sale for $37.95 (Reg. $75.95)! This sand digger gives your child an opportunity to drop the gadgets and get outdoors. It helps growing children develop their hand-eye coordination while using their imaginations. 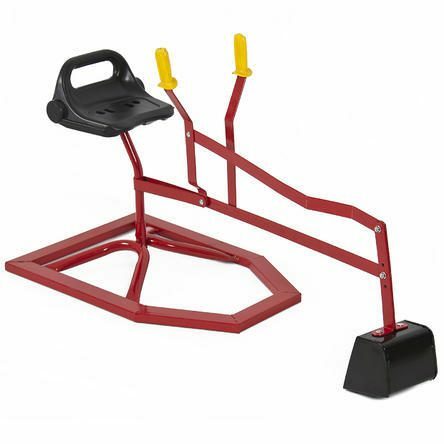 It rotates a full 360° and comes with a 4.75″ wide shovel/bucket, 3″ plastic handles and a molded plastic seat with backrest for added safety and comfort. We purchase our products directly from the manufacturer, so you know you‘re getting the best prices possible..